While Valentine’s Day—or the expressions of love and affection that come with it—should be celebrated every day, there’s something special about dedicating a day to spoil your significant other. We know finding that perfect Valentine’s Day gift that encapsulates your feelings for that special woman in your life is no easy task—and that’s when Piaget comes in. Just as how every romantic relationship has its own story, each of Piaget’s his and hers watch and jewellery creations is a symbol of the uniqueness of love. 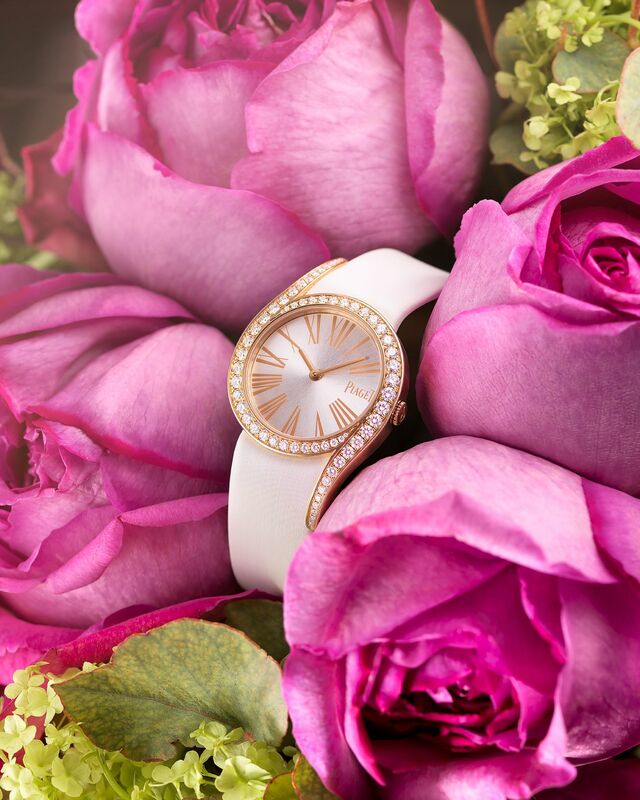 Surprise your lady with an unexpected token of affection with the Piaget Rose collection, designed to allow the beauty of a woman’s skin to shine through the radiant openwork flower petals. Featuring an abundance of brilliant-cut diamonds intertwined on the lavish lacework petals, the white gold Piaget Rose Ring shimmers seductively like drops of water dancing along the surface of the dazzling flower. A playful and delicate interpretation of the luscious flower, Piaget rose pendant in rose gold exudes the elegance of a lady, set with a brilliant-cut diamond in the centre of the flower that complements the intricate lace with its natural charm. For the modern lady who adores a chic statement piece, the Piaget rose earrings are inspired by a climbing rose in nature, adorned with a delicate chain set with diamonds that glows like dewdrops. Win her heart with Piaget’s Limelight Gala Watch, a unique design that breaks the regularity of the case of a timepiece and replace it with voluptuous curves created by two elongated asymmetrical lugs that symbolise pure femininity. The white satin strap with diamond-set pin buckle adds style to the wrist of the sophisticated lady. To evoke a love that is at once bold and passionate, the Piaget Polo S Watch is the perfect gift for someone who styles with a touch of masculinity. Housed in a round and cushion-shaped case, the blue horizontal guilloché dial contrasts aesthetically with the satin-brushed steel case.